Let me show you my UCS Venator ! It is a 5400 part model. It was a very difficult design process. Here are some videos. The first is mine. 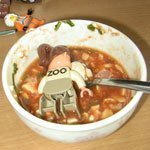 Then some are reviews made by Lego fans who reproduced the model. This my version of the famous Venator, inspired by the design of Thire5. It's of course an UCS scale ship. I would like to thank a lot Thire5, who permitted me to accomplish this project, with his agreement and some pictures during the building . The geometry is almost the same of the Thire5's one. The most important changes are the greebles, whitch are inspired of the ISD #10030. The feet are the same too. Its length is 112cm, and took me 7 months to build . The ship is composed of about 5340 parts. Do you have a shot from the back? I love almost every part of it. However, the side greebles get pretty repetitive. Perhaps a bit more variety there (it's just the same pattern, repeated about 10 times)? I don't have built the back bay yet . Because I'm so lazy !! Seriously, I really have to do this. 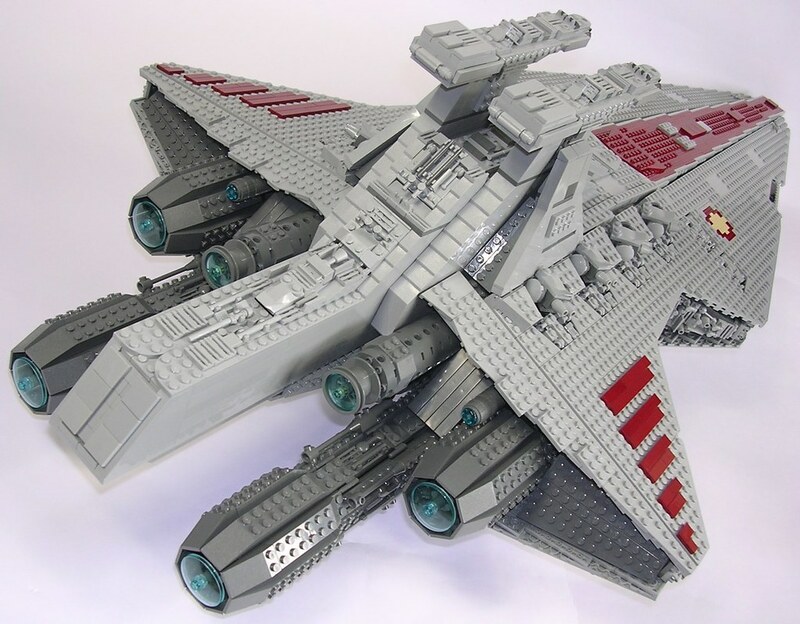 Odd that everyone loves making UCS venators. Well, this is one of the best! I think my favorite thing on it is the bridge design. Perhaps the engines could use just a teeny bit more greebles, but other than that, it's perfect! I love the colours and the greebles. The overall design is just brilliant. Well Done, I can't wait to see any of your other MOCs. Wow - that is one stunning creation. I really love how accurate it is, right down to the hangar entrance, it literally looks like a scale model they could use in the movie!! Wow very nice design you have there! Thats very nicely detailed and comes accross as huge. Great job! Awesome MOC, does it have a interior? WOW! it so big. I love all the greebling on the side of the ship its just incredible! That Venator is HUGE and quite accurate too ! Awesome MOC. 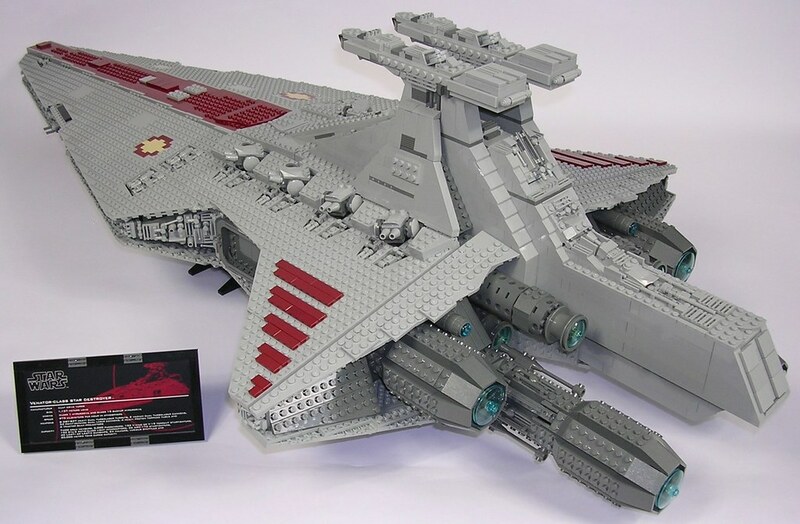 on your brickshelf file it says that there are instructions coming for the lego venator. are they made. if not, when are they going to be made. I would not be surprise if this gets front page. I should of check the front page it looks like it already has. Really a nice MOC. Maybe one of these days I will feel inspired and build one too. It has been maybe 10 year since I build my own models. 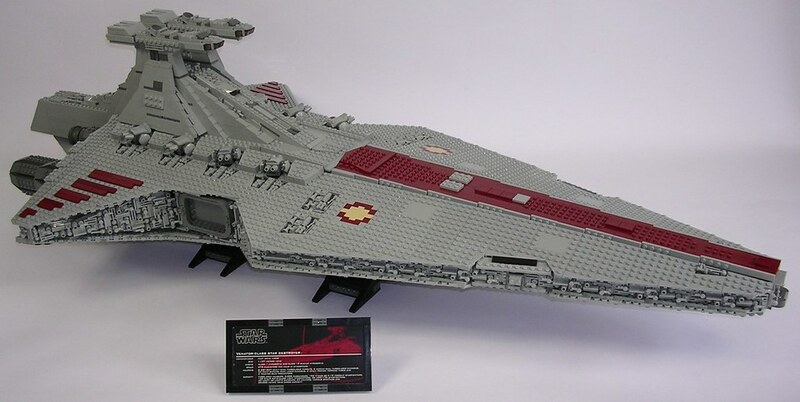 Did you use the frame from the stardestroyer and build the Venator over it? I reused the patterns of the ISD to do the side greebles. I know, it's quite repetitive, but it brings some integrity whith the UCS line. I am very flattered ! The frame is not the one from the ISD, I reused the geometry of the thire5's Venator. What?!?!? you build that and dont put an inside in?!?!?!?!?!?!? Thats insane! Very nice. I like the detail on the turrets. I struggled with that part on mine. Couldn’t find the right balance between size and detail. This ship is utterly ridiculous. Fantastic. The greebling is beautiful, and it is one of the best MOCs of this ship I've seen. Looking forward to your next piece! Seriously, It was very difficult. PS: I did a HUUUUGE mistake on the documentation : I forgot to include the frame's file. Now it's fixed. I also added some intructions about the order of the building.